The Martin Wickramasinghe Trust, declared an approved charitable organization by the Government of Sri Lanka, has been established with the following objectives. 1. The preservation and maintenance, as a national monument, of the house in Koggala where Martin Wickramasinghe was born, and the surroundings where he spent his childhood and youth. 2. The establishment of a Cultural Centre in these surroundings, consisting of a museum of folk culture and technology, a library, open-air theatre, auditorium and other facilities. 3. 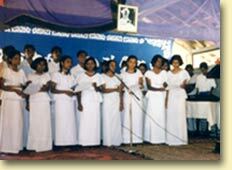 Establishment of a Martin Wickramasinghe Archive for the preservation of memorabilia, manuscripts, first editions of all his books, microfilms of his writings, as well as tape recording, digital video disks, compact disks, photographs and artifacts related to his life, his work and his times. 4. The promotion of literary, educational and cultural activities through seminars and audio visual demonstrations. 5. A library to house collections of folk literature, as well as tape, film and photographic recordings of folk music, drama, dances and various other aspects of folk life. 6. The preparation of a complete bibliography of Martin Wickramasinghe's writings. This will be made available in print and in the form of compact disks as well as in the website. 7. Preparation of a complete bibliography of literary evaluations of Martin Wickramasinghe's writings. This will be made available in the form of compact disks as well as in the website. 8. Preparation and publication of the collected works of Martin Wickramasinghe and the re-printing of all his published works. 9. Lectures to disseminate and popularize modern views in literature, anthropology, social sciences and other fields, explored by Martin Wickramasinghe in his writings. 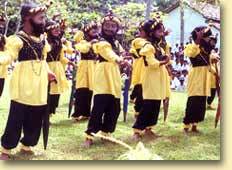 held annually at his birth place in Koggala. The objectives and undertakings enumerated under the heading "Objectives and Undertakings" have been largely achieved. The ongoing activities of the Trust are committed to sustain these objectives and undertakings and further improve and expand them as required.